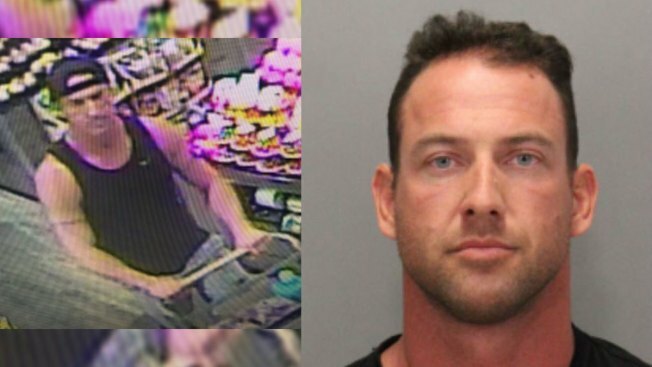 A Nevada man, 37-year-old Christian David Poppe, was arrested after police spotted his vehicle on Wednesday near San Ramon Valley Boulevard in Danville, according to Palo Alto police. Police have arrested the suspect of a shooting that occurred last Friday in the parking lot of a Safeway in Palo Alto. Officers recovered a 9mm semi-automatic handgun from Poppe's black 2013 Chevrolet Silverado, the gun he allegedly used to shoot at an unidentified man in the parking lot of Palo Alto's Safeway at 2811 Middlefield Rd., according to police. The victim fled the area in a white Lexus SUV with a paper license plate after the shooting suspect fired multiple rounds into the vehicle. Officers weren't able to locate the victim, who police described as a black man in his 20s or 30s, but a preliminary investigation revealed that the driver of the Lexus got into a confrontation with the suspect. Witnesses told officers that the suspect confronted the driver as he was getting into the Lexus. The vehicle appeared to have a shattered window, police said.